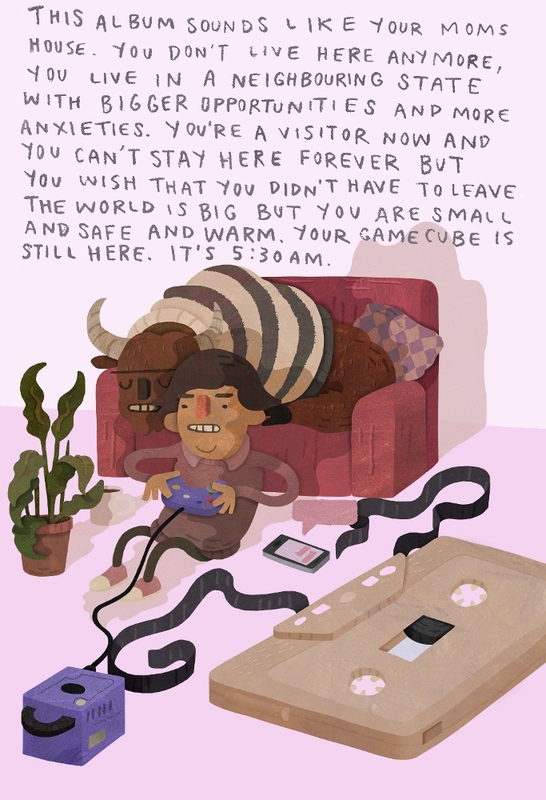 IAMSEB REVIEWS is going to be a new feature on HI54 where UK illustrator Seb Westcott creates an illustrated summary of an album that’s been occupying a lot of Seb headphone time. The collaboration came about the way all good collaborations come about: Seb emailed me about this idea and I was like, “that’s a good idea, we should do that” and now we are doing that because internet. Follow IAMSEB on the Instagram for more great illustrations + future illustrated album reviews.